Wellington-Dufferin-Guelph Public Health is spreading the word that rabies vaccine baits are being dropped in the local area. 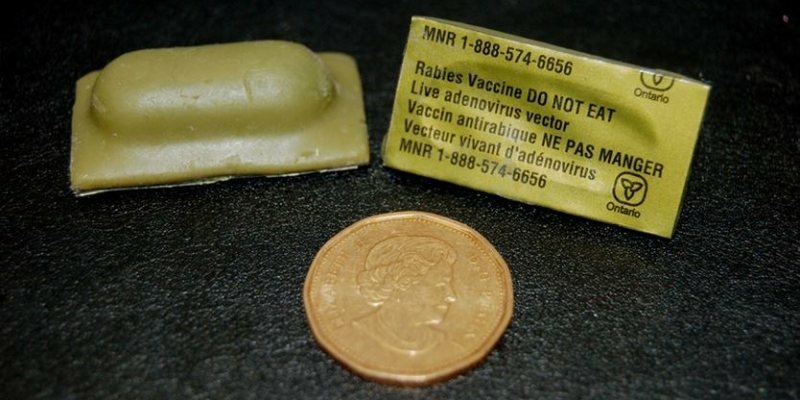 In an effort to stop the spread of the disease, the Ministry of Natural Resources and Forestry is dropping rabies vaccine baits in targeted areas of the province, including Wellington and Dufferin counties, a news release said. The vaccine bait is an army-green coloured blister pack, not much bigger than a loonie. They are being distributed by hand in urban green spaces until October, but in forested and agricultural areas, the baits will be dropped by helicopter or airplane, with baiting taking place until the end of August. If people see a bait, they should not disturb it, unless they are in an area where children play, the release said.